Seoul Court Rules In Favor Of A Samsung Leukemia Victim | Stop Samsung - No More Deaths! The Seoul administrative court ordered KCOMWEL on October 18 to pay industrial-accident payouts to the bereaved family of Kim Kyung-mi, a former Samsung Electronics Co., Ltd employee who died in 2009 of leukemia. The Seoul administrative court ordered KCOMWEL, the quasi-government entity responsible for workers compensation, on October 18 to withdraw its earlier decision and to pay industrial-accident payouts to the bereaved family of a former Samsung Electronics Co., Ltd employee who died in 2009 of leukemia. The ruling is a posthumous victory for Kim Kyung-mi, who had waged a long fight until her death four years ago. Kim began work as a wafer etcher at the Giheung plant of Samsung in 1999, after graduating high school. Until 2004 when she got married, Kim has worked at the same plant where Hwang Yu-mi, the first publicly known victim of Samsung’s blood disorder cluster, developed leukemia. In 2005, she had a miscarriage—probably the first sign of physical anomalies because there was no family history of miscarriage. After a regimen of fertility medications and treatment, in 2007, Kim gave birth to a child. 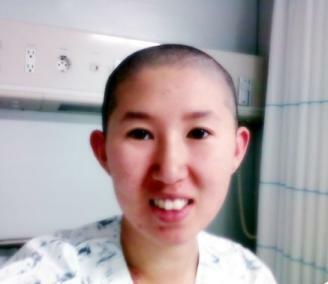 However, in 2008, she was diagnosed with acute myeloid leukemia after she suffered bruise-like rashes on her body. The following year, she died, aged 29, after failed marrow transplants. By 2012, KCOMWEL twice rejected petitions by Kim’s family for workers compensation. In February 2013, her family brought a lawsuit against the workers compensation entity. Samsung victims’ lawsuits against KCOMWEL meant more than just taking on obtuse bureaucrats. Usually, the lawsuits quickly turned into a war by proxy as an army of shrewd corporate lawyers, hired by Samsung as expert witness or in other capacities, packed the courtrooms. All these have been making the legal proceedings more costly and longer for Samsung victims and their families. KCOMWEL and the administrative court have a mixed history of workers compensation payouts in connection with Samsung. In December 2012, KCOMWEL concluded the breast cancer of a Samsung female worker was caused by an extensive period of night work. However, in May 2013, KCOMWEL’s six-member appeals panel, which included a doctor employed with Samsung’s hospital franchise, turned down a petition by the family of Yun Seul-ki, the female employee who died of leukemia in June 2012, after working at the Giheung plant. In August 2013, the Seoul administrative court upheld a decision by KCOMWEL to deny a 40-year-old Samsung employee with Lou Gehrig’s disease workers-compensation payouts. KCOMWEL has a 14-day window to appeal the decision. A court ruling is scheduled for Han Hye-kyung, a wheelchair-bound victim of the Samsung blood-disorder cluster, for November 1. SHARPS has obtained an internal brochure of Samsung Group, in which the conglomerate enumerates ways to respond to and eventually bust unionization drives. The 115-page brochure, published in 2012 for an annual seminar for executives and human resources managers at Samsung’s 78 affiliates, is an intriguing read. It reveals how management of the world’s largest technology company views its employees and how it treats them. In the next two or three posts, StopSamsung will discuss and analyze the anti-union brochure.